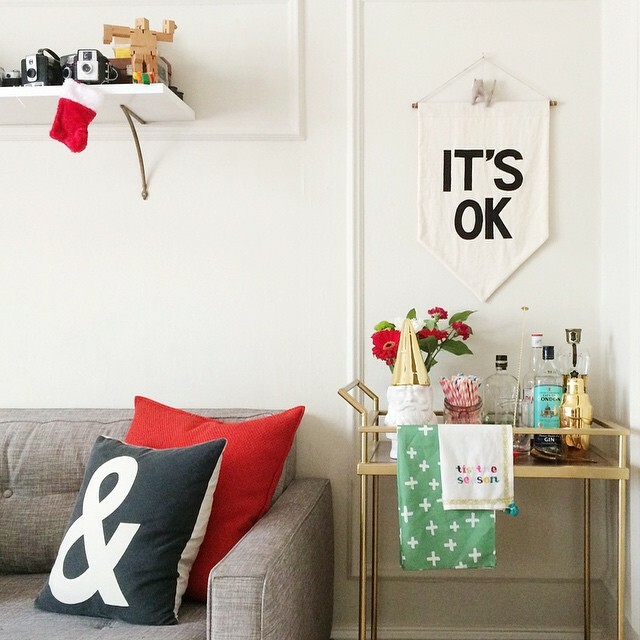 There's something about having a bar cart that makes me feel like an adult. I'm not much of a drinker. I'm actually a lightweight when it come to drinking, but I love the idea of making my own cocktails or mocktails. I decided that I wanted a bar cart. 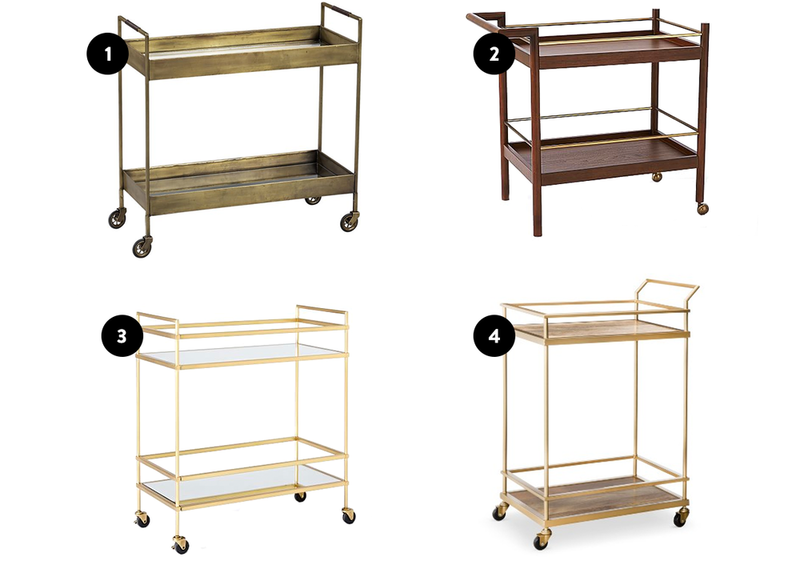 I wanted a bar cart that had gold accents to go with our coffee table legs. I knew I didn't want to spend too much money on one though. Bar carts can be expensive! I narrowed it down to these four, but in the end I went with the Target one. It was the cheapest one, and I liked it's compact size. When the bar cart arrived it was not quite as gold as it was pictured and the wood was lighter than I wanted, so with Grant's help we decided to stain the wood a darker, walnut color, and we decided to spray paint the metal to a more metallic gold vs. the brassy color that it came in. Two coats later, we got this! We don't really have much to stock our bar cart yet, but we have the essentials to make a Pimm's Cup and Gin and Tonic. :) Cheers!